Yesterday at 3:18 PM the Levy County Sheriff’s Office responded to a 911 call from a motorist approximately 1 ½ miles north of the intersection of US 19 and SR 121. The motorist reported they discovered a male subject lying in the median next to a vehicle. Deputies arrived and confirmed the subject was deceased. The individual has been identified as Cedric Jerrod Wilson DOB: 2-27-90. Wilson resided in the NE section of Gainesville. Mr. Wilson’s family has been notified of his death. Investigators, with the assistance of the 8th Circuit Medical Examiner’s Office, determined Wilson suffered from long term depression and had taken his own life. On February 24, 2015 Ronnie L Floyd registered as a Sexual Predator with the Levy County Sheriff’s Office. By Florida law Floyd is required to notify law enforcement whenever he changes addresses. Ronnie L Floyd was convicted in 2004 in Alachua County, Fl for Lewd and Lascivious Molestation by an Adult on a child under 12; F.S. 800.04. Floyd has registered his change in address as: 21161 NE 35 Street, Williston, Fl. 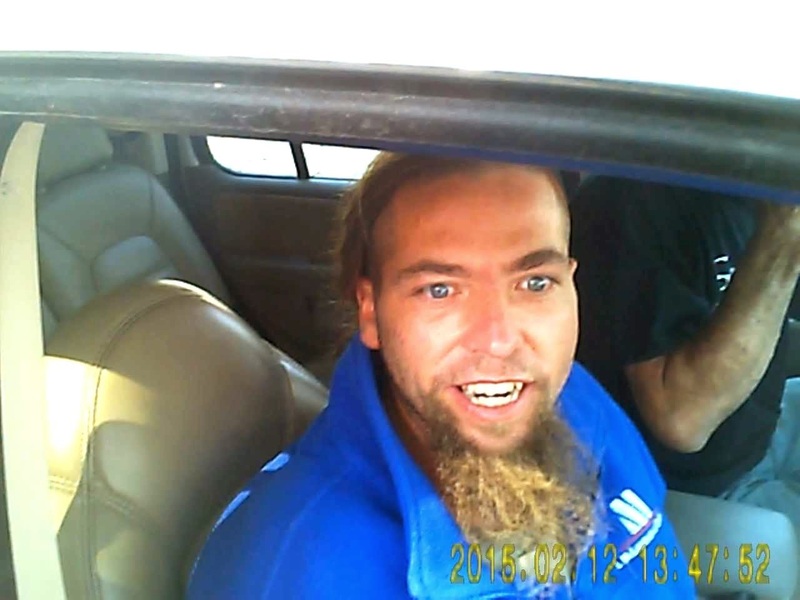 LCSO is seeking the public’s assistance in locating absconded Sexual Predator Lamont Lewis Nelson 3-01-80. 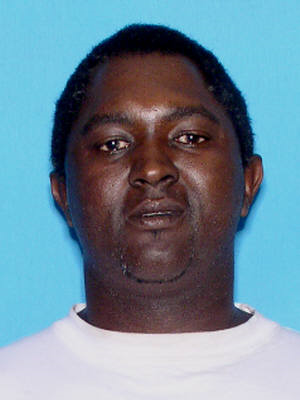 Nelson is described as a black male, 5-6 to 5-7, between 150 and 175 pounds. Nelson has worn earrings in both ears. He was last seen with short cropped hair and a goatee. Nelson has an active warrant for his arrest for failure to report a change of address. This warrant has a nation wide extradition and has been assigned a $100,000.00 bond. He has been missing and on the run since April of 2014. LCSO has exhausted all leads which could result in his apprehension. 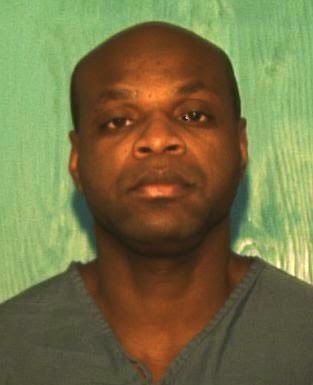 Nelson was convicted of Sexual Battery on a person under 12 in 1999 in Highlands County, Florida. Any person with information about Nelson is asked to contact the Levy County Sheriff’s Office at 352-486-5111 or Crime Stoppers at 1-877-349-8477. On February 13, 2015, LCSO Deputy Keagon Weatherford observed two suspicious vehicles and individuals outside a closed business in the Town of Bronson. Deputy Weatherford made contact with the individuals and was able to identify one of the subjects as Ellen Elizabeth Strickland (1-18-70). 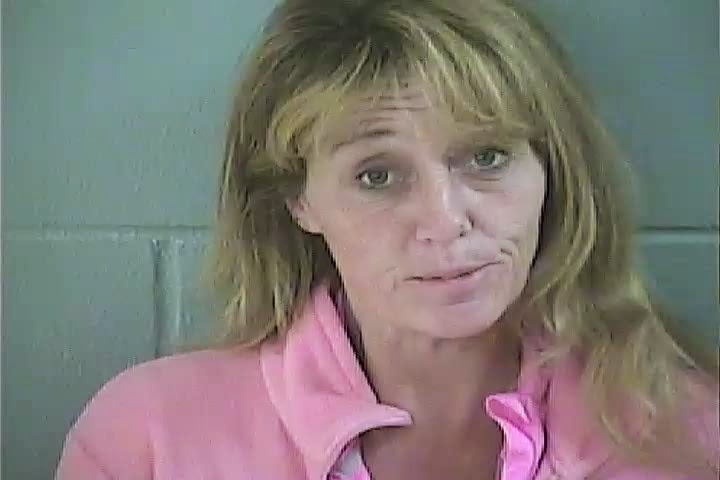 During his subsequent investigation, Deputy Weatherford learned that Strickland is currently on Felony Drug Probation for a prior Methamphetamine offense. Deputy Weatherford located and seized a significant amount of methamphetamine, a smaller amount of prescription Oxycontin medication, cannabis, numerous syringes and other drug paraphernalia from a vehicle at the scene. Strickland denied ownership of all the contraband items. After further investigation, Deputy Weatherford obtained witness statements and documentary evidence which helped prove that the illegal items had recently been in Strickland’s possession. Based on this evidence, Deputy Weatherford obtained an arrest warrant for Strickland. The warrant was executed by LCSO Investigators on February 18, 2015. Strickland was arrested for numerous drug offenses including Trafficking in Methamphetamine. She is currently being housed at the Levy County Detention Center. Her total bond is $142,000.00. During the week of February 10, 2015, the Levy County Drug Task Force conducted operations in the Ocala Highlands West area of Levy County targeting individuals making and selling methamphetamine. The DTF received numerous tips from the public and Crime Stoppers of Levy County which helped identify the suspects responsible for the lab. Personnel from both the Chiefland Police Department and the Levy County Sheriff’s Office participated in these investigations. On February 10, 2015, Drug Task Force Investigators located the clandestine Methamphetamine Laboratory at a residence located at the corner of SE 214 Avenue and SE 71st Place. This lab was dismantled. Investigators are required to have extensive training to safely dismantle these types of illegal lab operations to safeguard the community and themselves. On February 12, 2015, DTF Investigators conducted a “Buy-Bust” Operation that resulted in the arrest of Joshua Goodman (7-10-82). An undercover Investigator made contact with Goodman who agreed to sell methamphetamine. After completing the purchase, Investigators arrested Goodman and charged him with Possession and Sale of Methamphetamine. Investigators know that additional individuals are involved in these labs and the investigation is continuing. LCSO appreciates all the assistance provided by members of the public in these cases. At approximately 3:30 PM on February 6, 2015, Deputies from the Levy County Sheriff’s Office responded to reports of shots being fired near the intersection of County Road 318 and U.S. Alternate 27, east of the City of Williston. Officers from the Williston Police Department also responded to assist the deputies. The investigation revealed that a gunman had opened fire with a handgun on two vehicles which had been parked at the business known as “Melvin and Alice’s”. The vehicles had been occupied by 5 individuals at the time. The drivers of the two vehicles fled the scene and drove east to a residence located at the intersection of CR 318 and NE 210 Avenue. Investigators located and recovered four shell casings at the scene of the shooting. They found that one vehicle had been struck by at least four bullets and the other vehicle had been hit by at least two. The two vehicles were transported to the Levy County Sheriff’s Office for additional processing. Witnesses identified the shooter as Robert Junior Rives (3-19-77). Investigators subsequently located Rives at a residence south of Willston. Rives was detained and interviewed. During the interview Rives admitted to getting into a verbal dispute with some of the occupants of the two vehicles and shooting at them. He stated that he disposed of the gun prior to being interviewed. Based on the evidence, Rives was arrested and charged with 5 counts of Aggravated Assault, 2 counts of Shooting into an Occupied Vehicle and 1 count of Possession of a Firearm by a Convicted Felon. Rives was transported to the Levy County Detention Center where he will be given his first court appearance on February 7, 2015. Investigators request that any members of the public who may have information about the case to report it as soon as possible. LCSO is most interested in recovering the weapon used in the incident to prevent any further violence. As always, citizens can report suspicious activity to LCSO 24 hours a day at 352-486-5111. They can also make anonymous reports to Crime Stoppers at 1-877-349-8477. The Levy County Sheriff’s Office, Dixie County Sheriff’s Office and members of the United States Marshal’s Regional Domestic Fugitive Task Force arrested Joseph Louis Moscato DOB: 6-21-47 at his home located at 785 North East 673 Street Old Town, FL 32680 at approximately 6:30 PM yesterday. LCSO obtained a warrant for the arrest of Moscato late Wednesday evening. The warrant, charging Moscato for Lewd and Lascivious Battery of a person under 16 was obtained after the investigation and evidence collected from the crime scene had been analyzed. LCSO began their investigation on November 17, 2014 when a 12 year old female victim reported to her parents she had been molested by Moscato. The incident occurred at the church she was attending in the Fanning Springs area of Levy County. Investigators collected evidence from the scene and from the body of the victim, and had it examined. Reports received from the Florida Department of Law Enforcement laboratories confirmed the presence of Moscato’s DNA. These types of cases are delicate and often require extensive investigative efforts. LCSO is committed to solving these cases. The victim and her family have been referred for services by the LCSO Victim’s Advocates Division to aid them in the healing process. Moscato was booked in and is being held at the Dixie County Jail on a $3,000,000.00 bond. He will be transferred to the Levy County Sheriff’s Office Detention Facility to await trial. 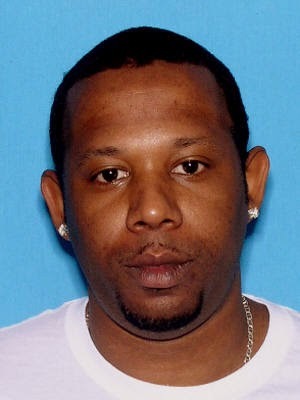 The photograph of Moscato was provided by Dixie County Sheriff’s Office.